Over the past few weeks, several people have asked me to share tips on how I started my fashion blog! I feel like there are already so many articles about how to start a blog, but not as many teach you how to maintain it. Although creating a blog is not easy, the hardest part (to me) is growing your website. (I know many will agree lol!) 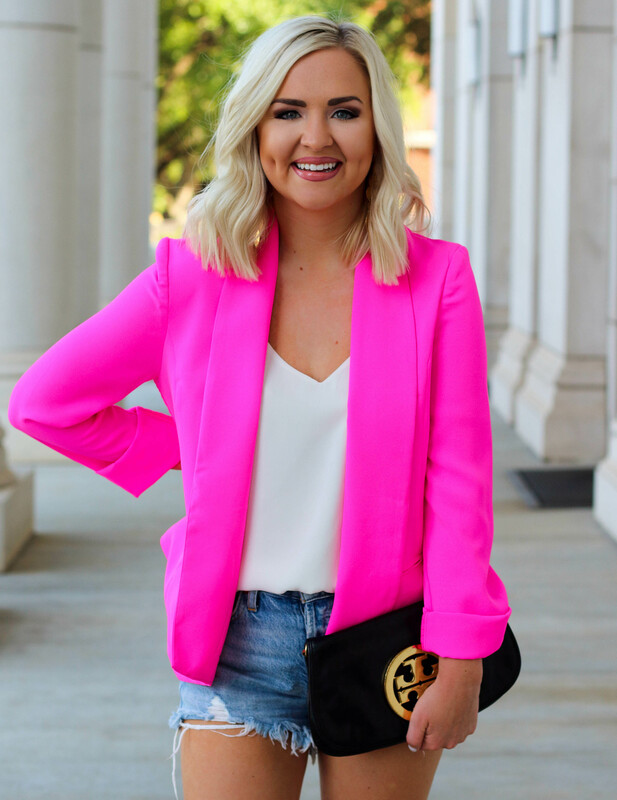 I still have SO much room for improvement before I will ever feel truly accomplished with Sassy Southern Blonde, but I am going to tell you how I plan on achieving this goal with these five important tips. BONUS TIP: Remember that the ONLY thing you OWN is your blog. Put twice as much time into it as you do your social media accounts! I also want to add something that might sound a little crazy at first, but hear me out! I absolutely love when I hit small goals that I set for myself, and of course, I celebrate those victories. BUT I always start working hard toward my next goal soon after, so I keep pushing forward! I try not to ever feel content with my fashion blog because I believe that’s when you stop working as hard and start settling for mediocrity. I could be content with 10k or I could be strategizing how to hit 20k in the next six months! Even as a child, I was a perfectionist when it came to anything I was passionate about, and that carried over with me to adulthood. I laugh about “never being satisfied” because I know many of you heard your parents tell you that when you wanted something, but you already had plenty! (I definitely did!) I think there are certain aspects of your life that need absolute satisfaction (like your relationships with Jesus and with your family and friends), but building a successful business isn’t one of them! That fire and passion inside of you are there to drive you toward the goals you never thought you could accomplish! That is what will turn those big dreams into actual reality! Totally do a more in depth follow up post! Would LOVE a follow up post and more details! I so appreciate you taking the time to get personal with your followers (i.e. me, ha! ), so I definitely would like to learn more from you.